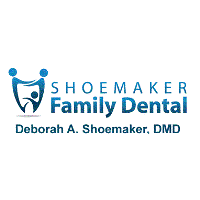 Welcome You Will Feel Confident in Our Care At Shoemaker Family Dental, we know you want a dentist you can trust. We earn your confidence by providing high-quality dentistry and working together with you for every dental decision. Together, we can achieve your goals of healthy gums and teeth and your best smile. We provide your dental care with compassion and understanding. You never need to feel ashamed of any dental problem. If you have fear of treatment or have had traumatic experiences at a dentist's office in the past, we will make sure you feel relaxed, comfortable, and pleased with our work. We are here only to help you feel good about your smile, so you feel good about yourself!